"How far does this go?" Uncork'd Entertainment has released the first official trailer for a super creepy horror thriller titled Gehenna, or Gehenna: Where Death Lives in full, from Japanese director and SFX veteran Hiroshi Katagiri. This film is about a group of white tourists who travel to Saipan in the Mariana Islands, and go into a WWII bunker they think is the perfect place for a resort. Once inside, they discover there's much more to the bunker - including a very pasty old slender man, as well as the horror trope of "they must face their most private secrets." Gehenna stars Lance Henriksen, Patrick Gorman, Simon Phillips, Sean Sprawling, Eva Swan, Justin Gordon, and Katherine Wallace. Plus Doug Jones as the "Creepy Old Man" (literally what his character is listed as). I wish this looked better, but it looks so bad. A group visits Saipan to search for locations for their company's newest resort. As they find what they think is the perfect spot, they discover a hidden Japanese bunker from WW2 on the property which they decide to explore. However, they soon find out that curiosity can kill. As each member faces their most private secrets and the secrets of the bunker itself, the results lead to a most shocking conclusion. 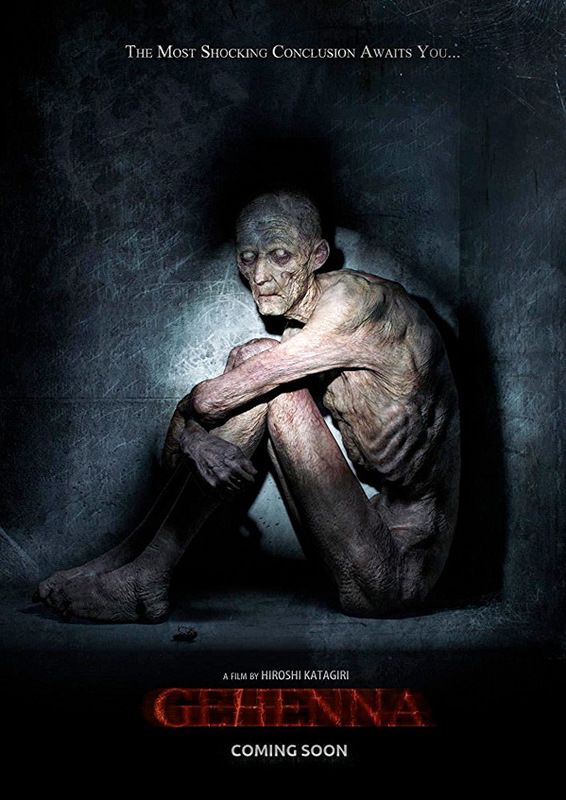 Gehenna is directed by Japanese filmmaker Hiroshi Katagiri, an FX legend working for years at Spectral Motion and Stan Winston Studios, now making his feature directorial debut after a few short films previously. The screenplay is by Hiroshi Katagiri, Nathan Long, and Brad Palmer. This first premiered at the Shriekfest Film Festival in Los Angeles in 2016, and played at a few other festivals back in late 2016 as well. Uncork'd will release Katagiri's Gehenna in select theaters + on VOD starting May 4th next month. Anyone interested?